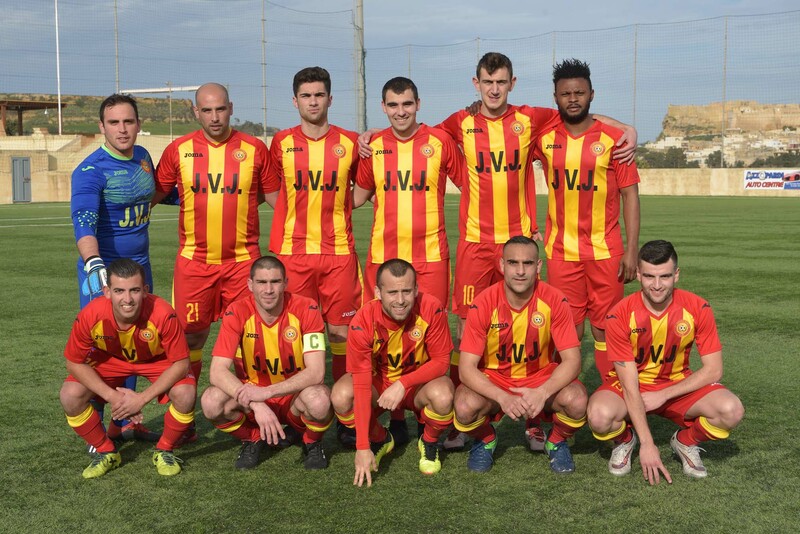 Brignoli, A. Xiberras (L. Attard), J. Theuma (C. Mercieca), C. Cauchi, M. Fagbeja, C. Azzopardi, J. Grima, D. Micallef, C. Farrugia, L. Buttigieg (S. Sultana), M. Zerafa. Mercieca, M. Portelli, J. Buttigieg, J. Zammit, E.R. Okpokwu, D. Borg, B. 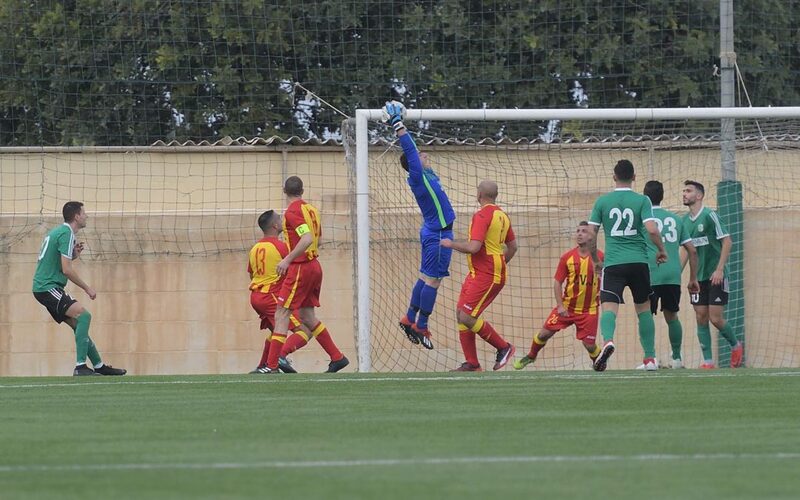 Said, M. Mifsud, C. Tabone (E. Gauci), D. Bellotti, F.J. Xuereb. 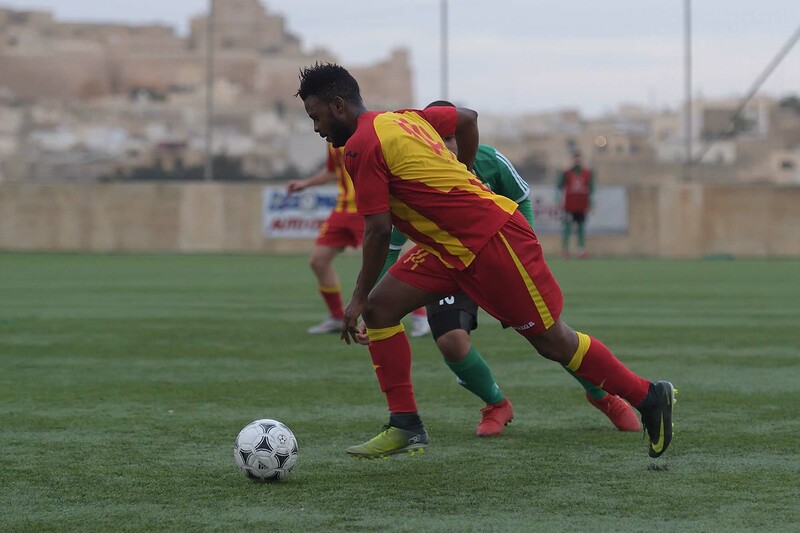 Current leaders Sannat Lions lost an opportunity to consolidate their lead over their rivals for promotion as they were held to a draw in the match against St Lawrence Spurs. 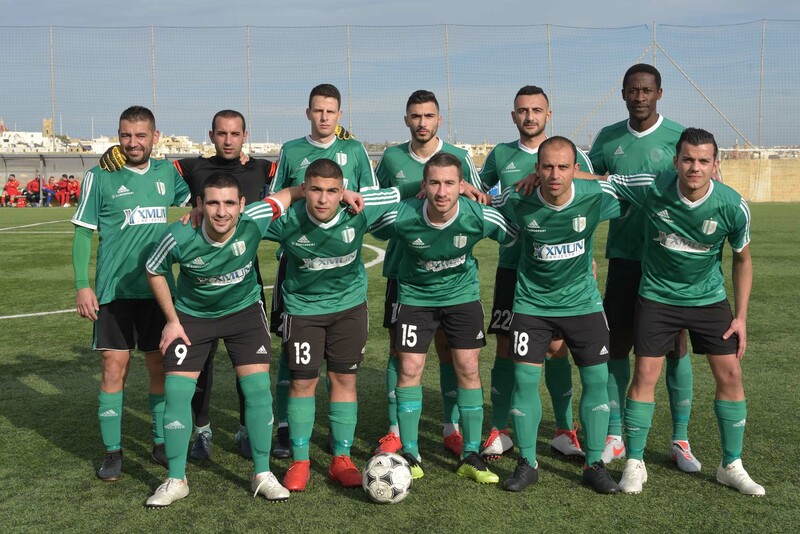 Sannat were favourites to obtain a win from this match particularly as it arrived just after the win over Xaghra United and also because the Spurs are practically out of the contention for the top positions. However, Sannat failed to take full control of play and were erratic in their finishing so that they ended up chasing their opponents for most of the encounter. As expected Sannat took territorial supremacy from the early stages but the Spurs were well deployed at their defence and made it very difficult for Sannat’s rear guard to conclude towards goal. The Spurs also opened the score against the run of play on 10 minutes when Muda Fagbeja produced a personal action just outside Sannat’s area and concluded in goal with a shot that found Sannat’s keeper unprepared to take an ideal position to block the danger. 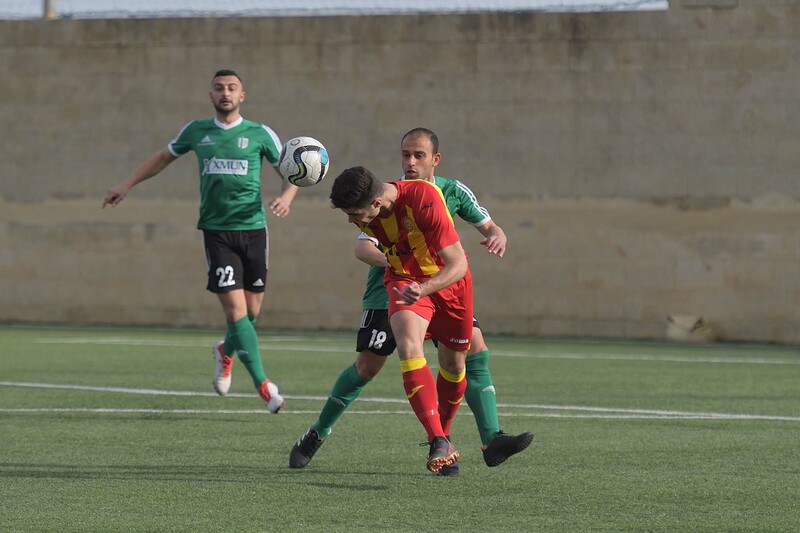 Sannat replied on 14 minutes through a free kick by Josiah Buttigieg that ended high and on 21 minutes St Lawrence’s Daniel Micalllef had a header from a corner kick by Charlon Farrugia that ended on the roof of the net. Two minutes later St Lawrence’s goalie Angelo Brignoli saved with difficulty to a corner a free kick by Josiah Buttigieg and on 34 minutes the Spurs were again dangerous through an effort by Muda Fagbeja that ended wide. Sannat levelled the score on 41 minutes through a fine curling shot by Ebube Ralph Okpokwu following a personal action that ended out of the reach of St Lawrence’s keeper. After the resumption Sannat tried to maintain pressure on St Lawrence’s defence and on 46 minutes a header by Ebube Ralph Okpokwu, following a cross by Fabian Xuereb ended just over the crossbar. 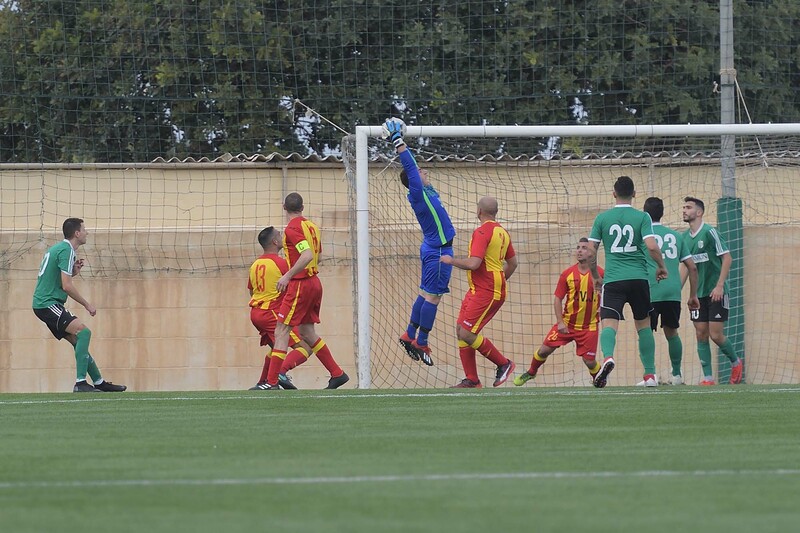 On 50 minutes however St Lawrence regained the lead when Sannat’s defence cleared badly a low cross from the right flank by Adrian Xiberras and the ball arrived to an unmarked Charlon Farrugia who took the opportunity and placed easily in goal from close distance. 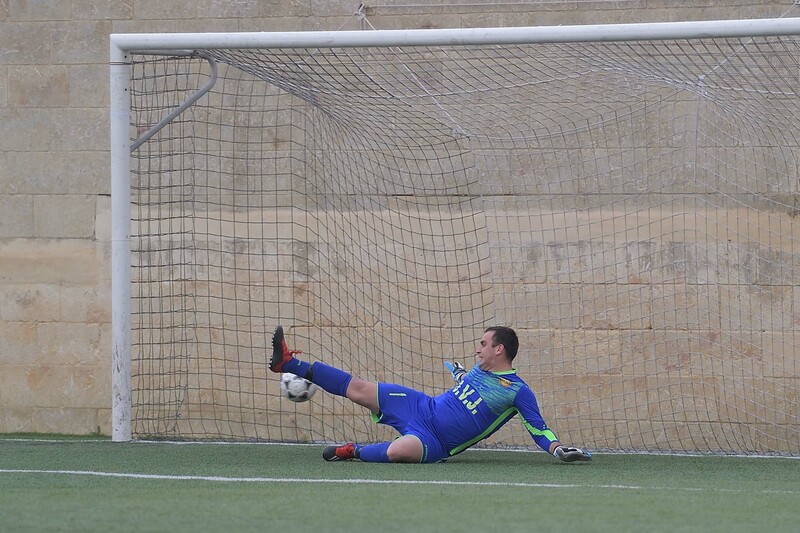 Sannat tried to produce an immediate reaction and on 56 minutes they could have levelled the score but a shot by Ebube Ralph Okpokwu after receiving from Mario Mifsud was neutralised by goalie Angelo Brignoili. On 64 minutes Sannat’s Dylan Belloti had an effort from a corner lick by Matthew Portelli that ended just over the cross bar and four minutes later it was Ebube Ralph Okpokwu who headed high from an ideal position following another corner kick by Matthew Portelli. 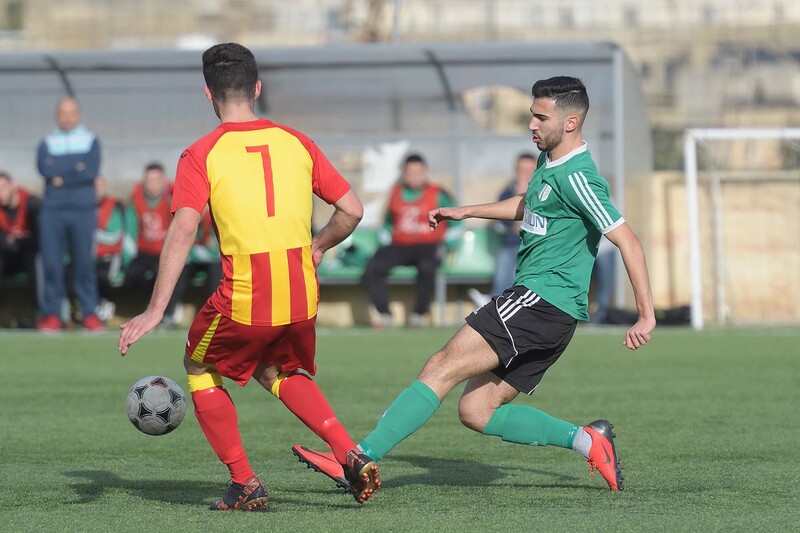 Sannat scored the equaliser on 73 minutes when the referee awarded a penalty for handling by Michael Zerafa in an attempt to clear the ball from the area, and Matthew Portelli made it 2-2 with his shot from the spot kick. The match became more interesting as the two sides tried to win the match. On 74 minutes an effort by St Lawrence’s Muda Fagbeja missed the target and four minutes later Sannat’s Ebube Ralph Okpokwu had a shot from a good position that ended away from goal. St Lawrence’s keeper Angelo Brignoli was called to make a good intervention on 83 minutes when he partially saved a strike by Ebube Ralph Okpokwu and the same keeper recovered in time to take the ball from Matthew Portelli who was ready for the tap-in from the rebound. The last scoring opportunity of the encounter was created by St Lawrence on 84 minutes when Mujda Fagbeja passed through Sannat’s defence but concluded badly when he was in an ideal position so that the ball ended away from goal.